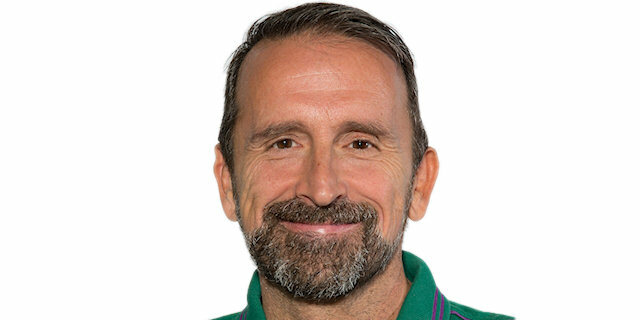 Mindaugas scored a career-high 23 points, most of which came at crucial times, to lead Unicaja Malaga to an impressive 82-93 road win over Maccabi FOX Tel Aviv at Menora Mivtachim Arena on Thursday. 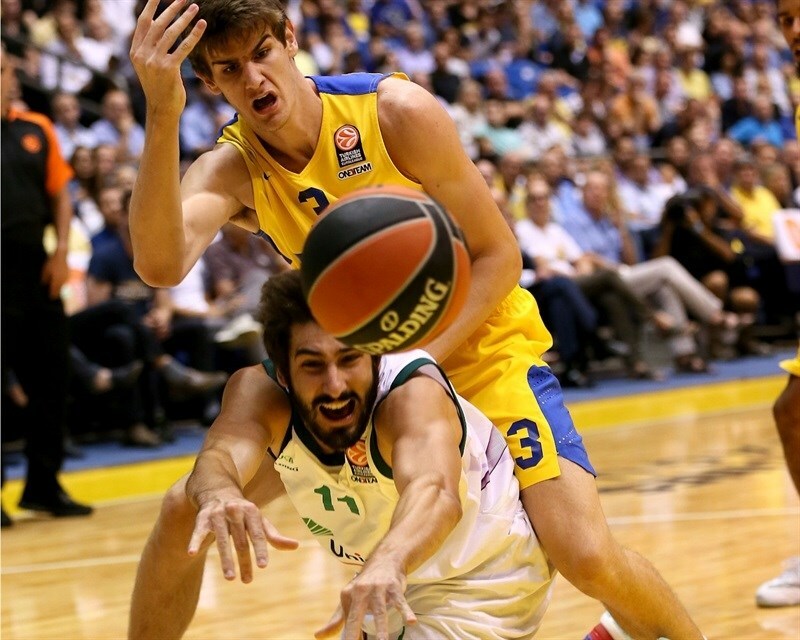 Unicaja jumped to the top of the Group D standings with a 2-0 record, while leaving the 2014 Turkish Airlines Euroleague champs winless. Kuzminskas gave Unicaja a 7-17 first-quarter lead after his first three-pointer. Maccabi used a big second quarter to come back and briefly lead before heading into halftime with the score ties at 47-47. Kuzminskas started the second half with a three as Unicaja regained control. 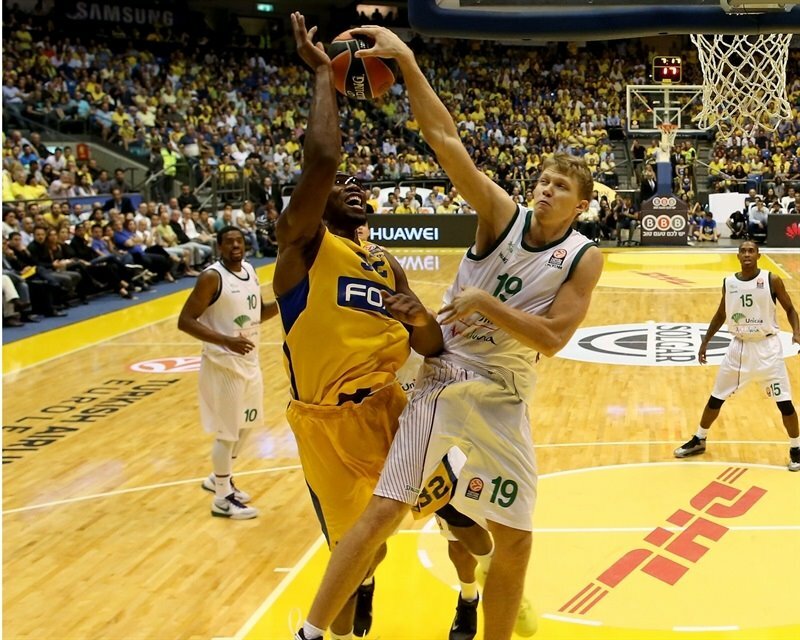 However when Maccabi rallied to within 80-82 late, Kuzminskas sparked a 0-9 game-clinching run with a triple and a dunk. Jamar Smith added 17 points, Nemanja Nedovic scored 13 and Richard Hendrix posted 12 points, 6 rebounds and 6 assists against his former team. 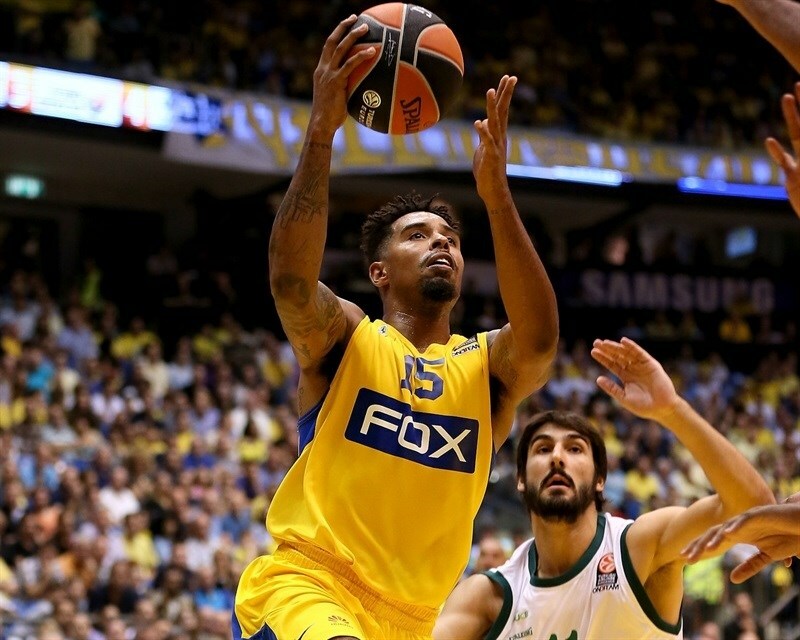 Taylor Rochestie paced the Maccabi attack with 18 points and 7 assists, Trevor Mbakwe scored 17, Devin Smith posted 13 points and 8 rebounds and Jordan Farmar scored 13 in defeat. 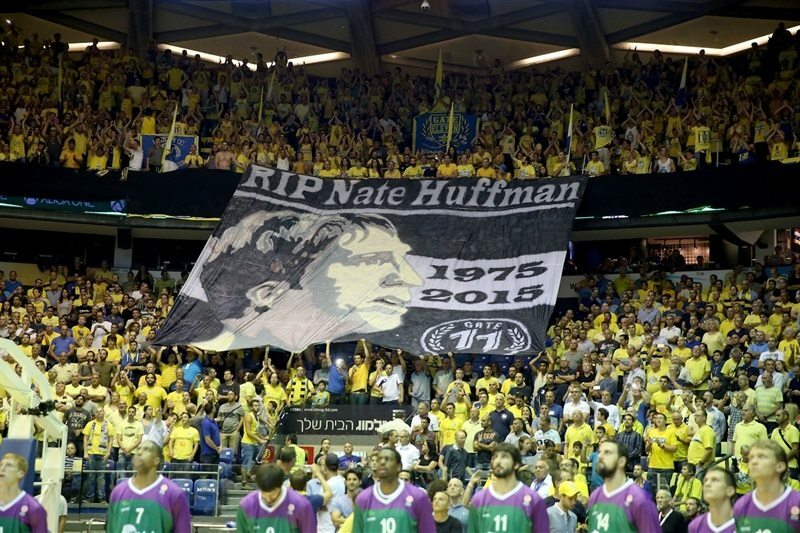 Before the game, Maccabi held a ceremony in memory of former center Nate Huffman, who passed away last week. His No. 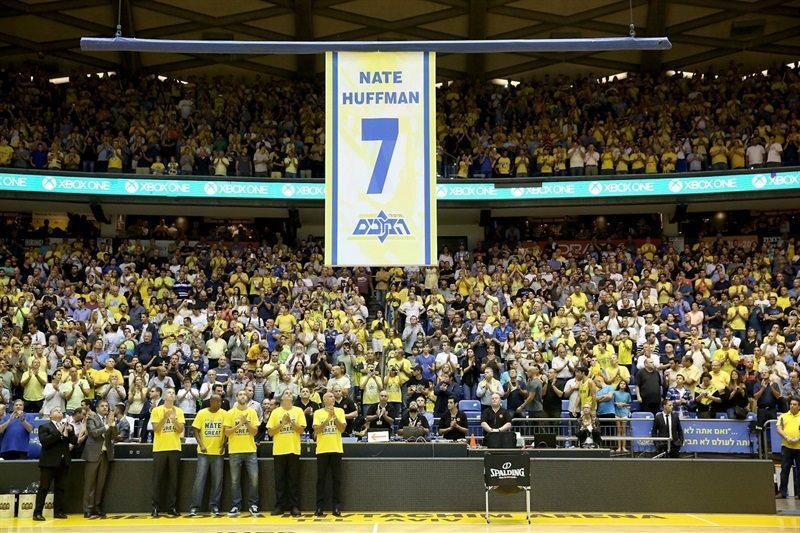 7 jersey was raised to the rafters. Jamar Smith opened the scoring with a three-pointer from the top of the key. Hendrix made is 0-5 before Devin Smith’s floater got the hosts going. Unicaja’s defense frustrated the hosts early, while a triple by Stefan Markovic and a Zuzminskas layup made it 2-10. Farmar used the pick-and-roll to create space for Mbakwe for a slam. Hendrix survived a block by Smith to score a reverse layup before Farmar buried a triple. Kuzminskas heated up with 2 free throws and a triple for a 7-17 advantage. Devin Smith and Hendrix traded buckets. Farmar added a layup, but Will Thomas dunked at the other end. Farmar used a nifty move to create space for a triple, but Markovic’s second three made it 16-24. After free throws by Smith, Sylven Landesberg hit a three from the wing to bring the hosts within 21-24 after 10 minutes. Yogev Ohayon drove for a tough layup, but Nedovic shined with a deep three and then made another on the next play to establish a 25-30 Unicaja lead. Rochestie drove through the Unicaja defense for a layup. Landesberg’s jumper made it a 1-point game. Carlos Suarez and Fran Vazquez kept the visitors in front. Mbakwe free throws made it 33-34 midway through the quarter. Jamar Smith netted a jumper only to see Rochestie match him. After another Jamar Smith shot, Rochestie came back from a timeout to tie the game at 38-38 with a three-pointer. Kuzminskas scored underneath and Jamar Smith stayed hot with a layup and a triple, though Mbakwe scored in between. Dragan Bender used his speed for a dunk in transition and Farmar’s third three tied the game again. 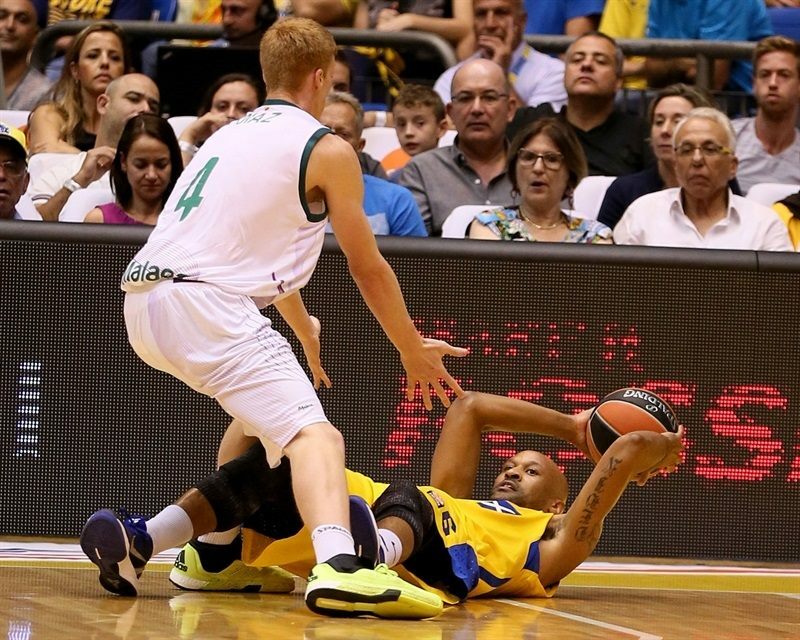 Mbakwe gave Maccabi its first elad with 2 free throws, but Kuzminskas left things even, 47-47, at the break. Kuzminskas came out for the second half and buried a three-pointer. Thomas increased the difference with free throws before Kuzminskas capped a 0-7 spurt with a layup. 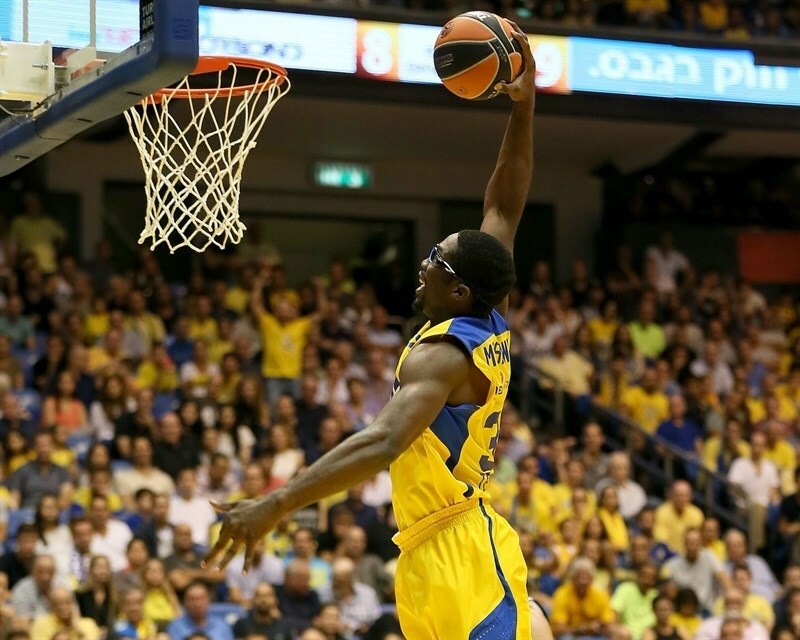 Rochestie got Maccabi’s first basket of the half. Jamar Smith was called for an unsportsmanlike foul when he stopped Devin Smith in transition and the attacker made the 2 free throws. Thomas set up Kuzminskas for a layup on the break before Rochestie countered with a long jumper. Jamar Smith’s triple made it 53-59 midway through the quarter. Mbakwe countered at the other end with a basket-plus-foul and then soared to tip in Devin Smith’s missed layup. Hendrix scored on the offensive glass. Unicaja added to the lead with free throws from Suarez and Hendrix. Farmar drove for a nifty finger roll, but Edwin Jackson’s triple made it 60-68. A great shot by Rochestie and a Guy Pnini free throw ended the quarter at 63-68. Ohayon’s layup got the crowd involved, before Nedovic and Pnini traded threes. Suarez’s put-back and a Dani Diez triple gave the visitors a 68-76 cushion. But Pnini added a second three. Nedovic sandwiched a tough layup and a pull-up jumper around a Rochestie three. Devin Smith added a long jumper that was nearly a three. Thomas made a tough fadeaway jumper at the other end. Devin Smith scored again and Mbakwe added free throws to draw the hosts within 80-82. Kuzminskas came to Unicaja’s rescue with a triple and a fast break slam on the ensuing play. Jamar Smith buried a jumper off an inbounds pass to silence the arena. Kuzminskas rejected Mbakwe before a Markovic layup all but sealed the outcome at 80-91 with less than two minutes to go. Devin Smith impressed with a put-back of Farmer’s missed three, but Hendrix sealed the outcome with a slam with 30 seconds left as Unicaja celebrated an important road win. "This was a painful loss at home. We knew it would be a tough game; we worried about rebounds, and as it turned out, we were right. We also had too many turnovers, and we need to tighten up our defense. To give up 100 points last week and 93 tonight is just too much. The game just got away from us. We need to learn from this game and move on to the next." "We dominated the game from the beginning. 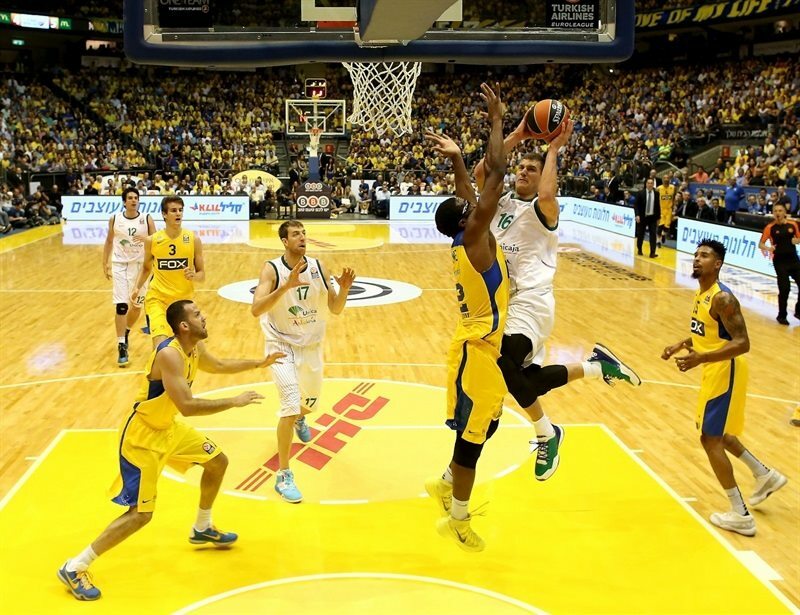 Maccabi got closer, but we deserved to win. We showed great bench depth and my team knows the kind of game it wants to play, what it needs to do. We made many mistakes, but also had character and were ambitious. We wanted to win. 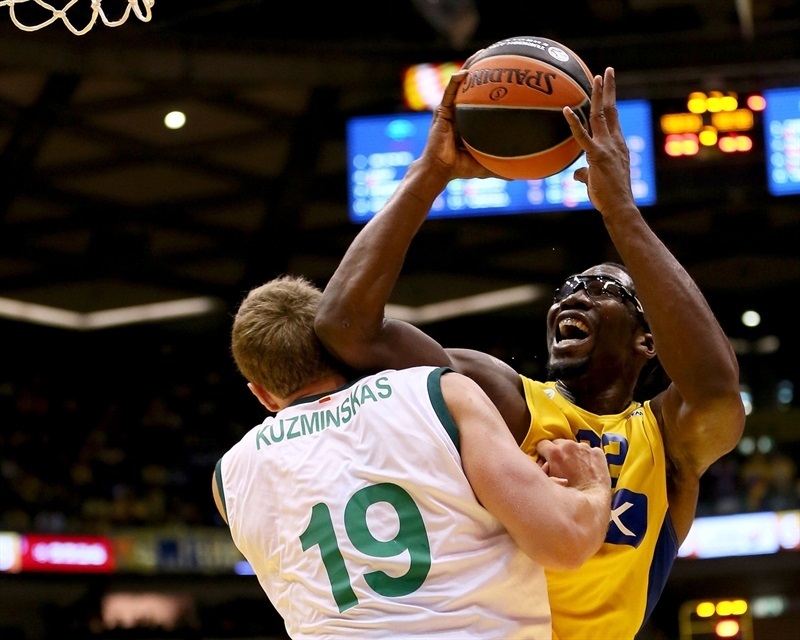 We want to win anywhere, against any team, and to be in the Euroleague. It was an important game for us. During the summer, we thought about bringing in players who wanted to take a step forwards, to give our team more character and compete in every court we play at. 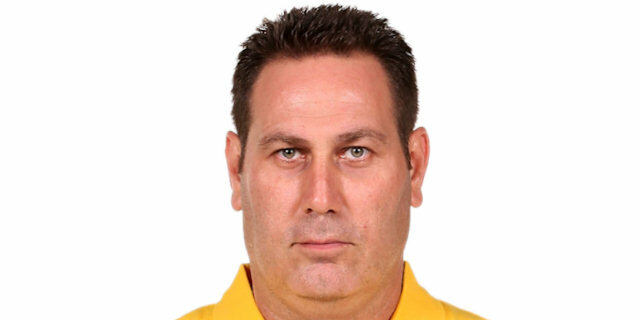 If we are able to compete against such a big team as Maccabi, it means we are on the right track."